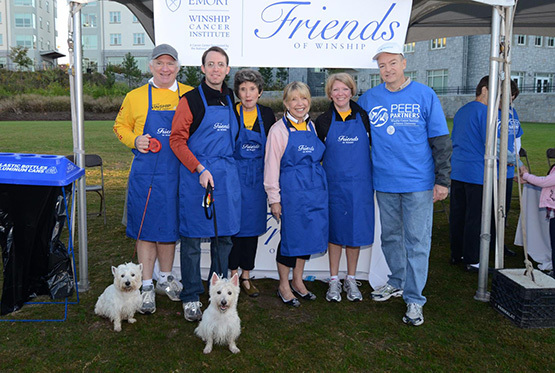 Friends of Winship is a volunteer organization which functions as an operating division under the Development Office of Winship Cancer Institute of Emory University. 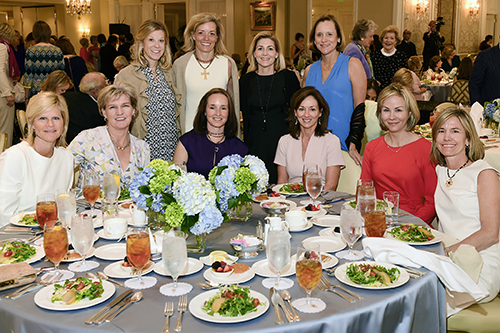 To build community understanding and awareness about Winship Cancer Institute while raising funds to support its research and patient care programs. To support Winship Cancer Institute in its role as the premier cancer center in the Southeast. 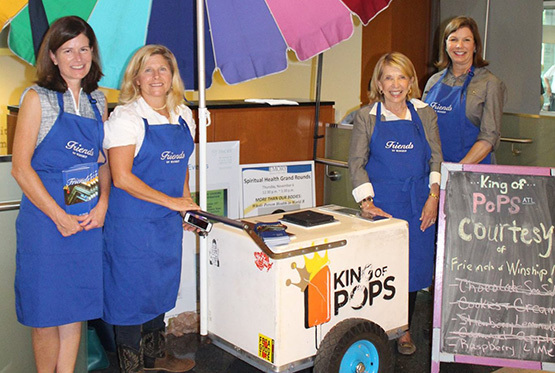 Mary Claus, Katherine Ohlhausen, Kathy Bowman, and Julie Fox distribute King of Pops to patients, families, and staff. 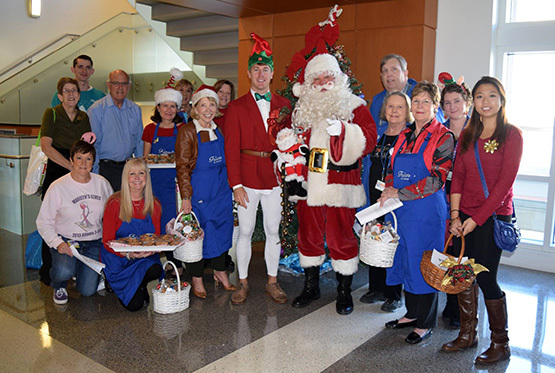 Friends members partner with Volunteer Services to sing carols and distribute cookies to patients, families, and staff. Marietta Petters and Amanda Benedict host a Friends membership table. Friends members volunteer at the annual Winship 5K. 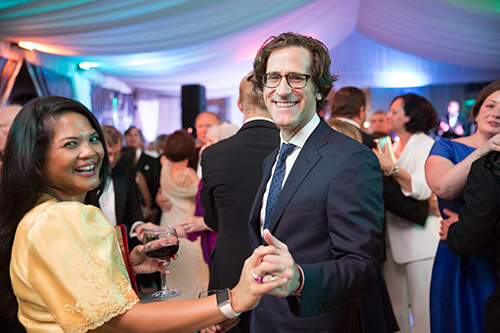 Friends members enjoy dancing at the bi-annual Winship Gala. 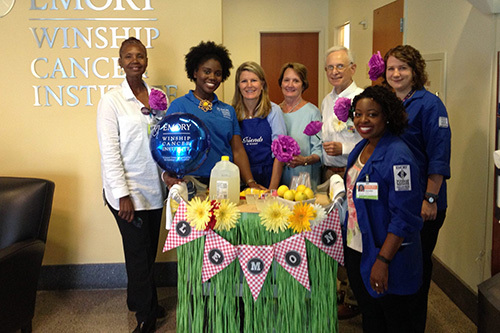 Friends members host the mobile lemonade stand for National Cancer Survivors Day. Friends members and their guests enjoy the annual Fashion Show. Membership is open to anyone with an interest in cancer research and treatment, and in helping Winship Cancer Institute become the premier cancer center in the southeast. Click on the "Join/Renew" button below to make a donation and complete your membership application. Volunteer opportunities at Winship are all patient-focused. Each position plays a vital role in Winship's focus of providing quality patient care and assistance to each patient, as well as their family members and caregivers. Please consider volunteering at Winship. Need a little help spreading the word about Friends? Our newly developed "Friends kit" may be just what you need. This folder, chock full of information pertaining to Friends, can be easily shared with friends, family members, and peers who would like to learn more about our fascinating group, but prefer to peruse the material at their leisure. Email Amanda Benedict for more information about how to request a kit today. Special thanks to our founding members! 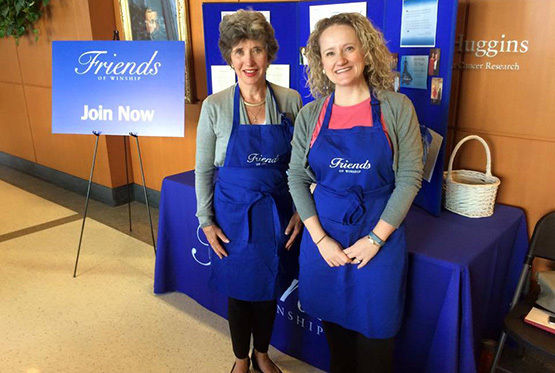 Founding members of Friends of Winship include: Kathy and Bob Bowman, Katherine and Eric Ohlhausen, Missy and Joe Craver, Sue and Randy Parker, Dana Dabruzzi, Marietta and Skip Petters, Ann Viehman, Susan and David Simpson, Beth Jones, Leslie and David Wierman.